Of all the tasks involved with driving, the minor steering inputs required to keep a car centered in its line are among the easiest. But even that is apparently too difficult for some people, so automakers have devised an array of tech features to help. If you’ve ever seen the terms “lane keep assist” and “lane departure warning” in a car brochure, you know what we’re talking about. But what do these systems actually do, and what’s the difference between the systems offered by various automakers? “Lane keep assist” and “lane departure warning” are industry terms for tech that focuses on keeping a car from drifting out of its lane. Lane departure warning systems merely alert the driver when the car is leaving its lane, while lane keep assists actually works to keep the car from moving out of the lane. These systems are often bundled with tech that performs other functions, such as adaptive cruise control and autonomous emergency braking. Lane departure warning systems scan the road to determine where the lane markers are. If the car drifts over these markers, the system lets the driver know, usually by beeping or displaying a warning message on the dashboard. It’s then up to the driver to take corrective action. If you’re looking to buy a car and want to know if it’s available with lane departure warning, you can check the National Highway Traffic Safety Administration’s safety ratings. 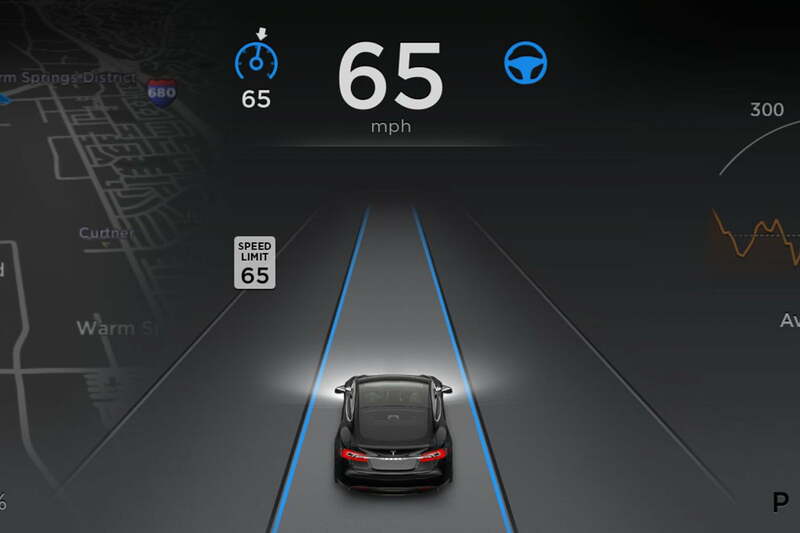 Lane keep assist takes things a step further by allowing the car to steer itself in the right direction. Some systems apply the brakes on one side of the car to try to nudge it into the correct position, but many newer systems use steering. The amount of steering input can range from gentle nudges meant to guide the driver, to full-on interventions. Some automated steering systems can follow gentle curves on highways or — as is the case with systems offered by Tesla and Mercedes-Benz — initiate lane changes. Because the capabilities of lane-keeping tech can vary depending on the system, it’s important to know the limitations of your particular car before relinquishing lane-keeping duties to the machines. And while some cars can steer themselves to a limited degree in certain situations, remember that none of this tech comes close to fully-autonomous driving. These are assists meant to make driving safer, but they are no substitute for an attentive human driver. Lane keep assist and lane departure warning are bundled into the Honda Sensing suite of driver-assist systems currently available on most of the Japanese automaker’s models. But Honda goes a step further than most other mainstream automakers with its Road Departure Mitigation System. This detects when a car is drifting close to the side of the road without a turn signal activated, and applies both steering and braking inputs to keep the car from going off the road. 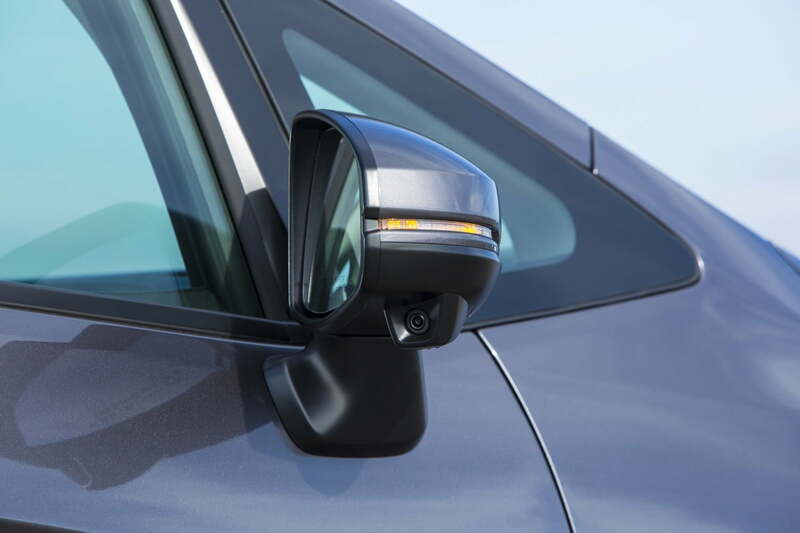 Certain models also get Honda’s LaneWatch system, which adds cameras to the passenger-side exterior mirror. Anytime the driver signals right, video feed from the camera is displayed on the car’s dashboard screen, thus increasing visibility. Available on: Fit (standard on EX and EX-L trims, optional on LX and Sport), Odyssey (standard on EX trim and above), Ridgeline (standard on RTL-E and Black Edition trims), Accord coupe and sedan (standard on Touring trim, optional on LX, EX, EX-L with automatic transmission), Accord Hybrid (standard on all trims), Clarity Electric/Clarity Fuel Cell (standard on all trims), CR-V (standard on EX, EX-L, and Touring trims), Pilot, (standard on Touring and Elite trims, optional on EX and EX-L), Civic coupe (standard on Touring trim), Civic sedan (standard on Touring trim, optional on LX, EX, EX-T, and EX-L with automatic transmission), and Civic hatchback (standard on Sport Touring trim, available on LX, EX, and EX-L Navi with CVT). Nissan’s luxury brand gets the prize for the most complex solution to lane-keeping tech. 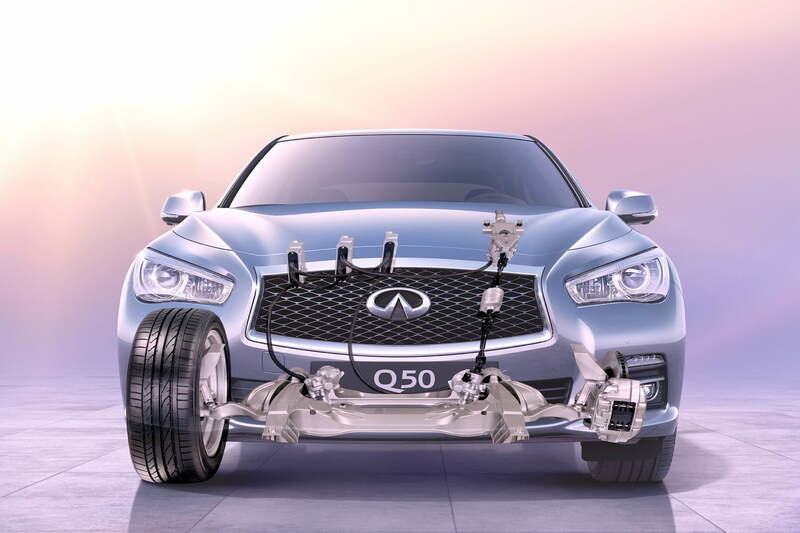 Infiniti’s Direct Adaptive Steering system actually severs the connection between the steering wheel and the road. This fly-by-wire system can work with lane keep assist to make minor steering corrections in order to keep the car centered in its lane. This also gives the steering an alien feel when you actually want to be in control. Available on: Q50 (Sport, Red Sport 400, and Hybrid Luxe trims) and Q60 (3.0t Premium, Sport and Red Sport 400 trims). Mercedes offers a lane keep assist system that brakes individual wheels to herd a car back into its lane. But the German automaker also has a steering-assist system that can keep a car centered in its lane through steering inputs. The system works at speeds of up to 124 miles per hour, on both straight sections of road and gentle curves. It primarily relies on lane markings, but it can also “follow” the vehicle in front of you. The blind-spot monitoring system on some Mercedes models will also try to steer the car back into its lane if the driver moves over while another car is in his or her blind spot. Available on: S-Class (Driver Assistance Package), E-Class (Premium 3 Package), C-Class (Premium Driver Assistance Package), CLS-Class (Driver Assistance Package), SL-Class (Driver Assistance Package), GLC-Class (Premium Driver Assistance Package), GLE-Class (Premium 3 Package), GLS-Class (Driver Assistance Package), and Mercedes-Maybach S650 4Matic (standard). A steering-assist feature that keeps the car from veering out of its lane is one facet of Tesla’s much-discussed Autopilot system. Autopilot allows the car to make significant steering inputs, although Tesla advises drivers that they should be ready to take over at all times. While most systems are meant to keep the car in its lane, Autopilot can also help when its time to change lanes; it can execute automated lane changes at the flick of a turn signal. Available on: Model S, Model X, and Model 3.